Eaglet 1 is a 3U+ cubesat with 5 m panchromatic resolution capabilities, using a 300 mm focal length telescope with an aperture of 85 mm. The overall mass is less than 5 kg. The satellite has a precise attitude control system based on Earth, Sun, Star Tracker and GPS sensors. The attitude control system makes use of reaction wheel and utilizes magneto-torquers for their desaturation. 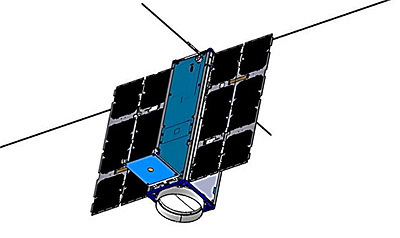 In addition to the EO mission, Eaglet shall embark an AIS payload.